NASHVILLE, TN — It’s a new day and a new time in Nashville especially for healthcare for the underserved community. 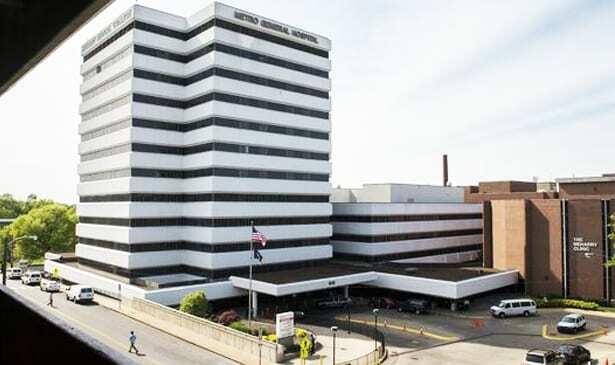 Under the on-going leadership of Dr. Joseph Webb, Chief Executive Officer (CEO) of Nashville General Hospital, in light of the past controversies, the hospital is moving full speed ahead with meetings its goals and maintaining its commitment to serve. As evidenced by the renewal of Dr. Webb’s contract, he has been entrusted to continue the hospitals hefty mission of treating, educating and healing citizens. The community continues to embrace and support Nashville General Hospitals efforts to improve patient health via its six standards and thirty-six elements of comprehensive care. The community has responded well to their initiatives of healing and providing education as part of that healing such as teaching patients how to control their blood pressure, engage in healthy eating and manage their diabetes. The accounting and management of funding is in a stable place for Nashville General Hospital that is in line to collect over $43 million in payments that can be verified through audits although they only receive $20 million from the state. Dr. Webb indicated that it’s important for the community to know that, “The hospital provides free service to a segment of the population that simply can’t afford healthcare and those fees are costly and have to be offset with the state funding.” Unlike many hospitals or medical facilities that have a diverse payer mix, Nashville General has a very high number of patients that don’t have private insurance and they cannot pay for their treatment. They are continuing to expand their offerings as a diverse medical facility as evidenced by the use of the “In Demand Interpreting” system on-site that ensures that every patient receives high quality healthcare regardless of cultural background, disability and namely, language. Their pool of experienced medical doctors, nurses and clinicians now have a tool to treat the many non-native speakers as they continue to provide the best possible care. Dr. Webb is pleased to announce that the Vanderbilt Meharry Alliance continues to be a joint effort of working together and regardless of any vacated positions, there is still a great level of positivity. A national search is underway for their cardiac program as well as other specialty positions. Under Dr. Webb’s strategic leadership, Nashville General Hospital will continue to provide quality healthcare, adapt and keep pace with technological advances and remain at the forefront of patient care for the community.